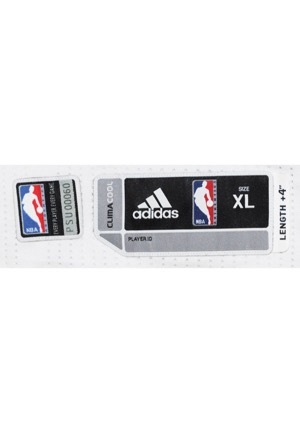 On the front left tail is an “adidas CLIMACOOL” size “XL” manufacturer’s tag. Attached adjacent is a flag tag that reads, “LENGTH +4””. Adjacent is NBA swatch “PSU00060”. On the left inseam is a size “XL4” tag with washing instructions. Adjacent is a tag that reads, “07/10 P55182 AZB001”. On the inside below the rear collar is a size “XL4”. tag. On the left chest is an official “NBA” logo embroidered in red, white and blue. Across the chest reads, “SUNS” in purple tackle twill with an orange stitched border. 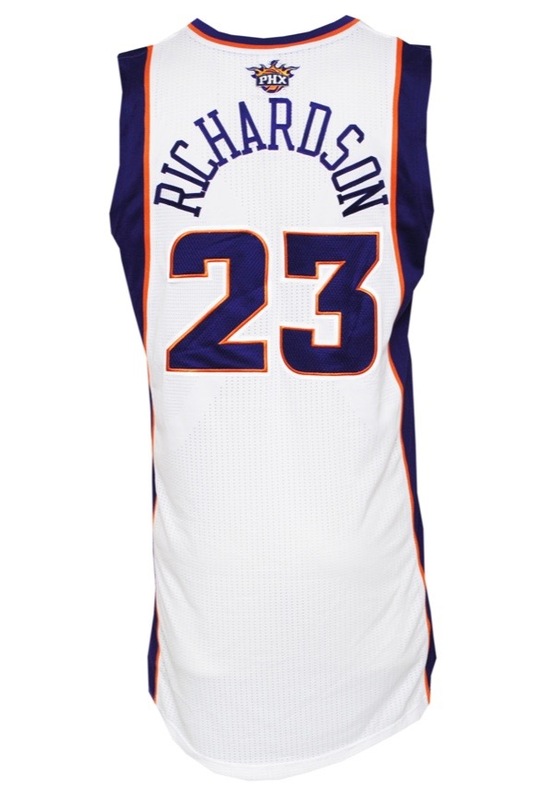 The player number “23” appears on the front and on the back in purple mesh with an orange stitched outline on white tackle twill. Across the back reads the player name, “RICHARDSON” in purple tackle twill sewn directly onto the white jersey. 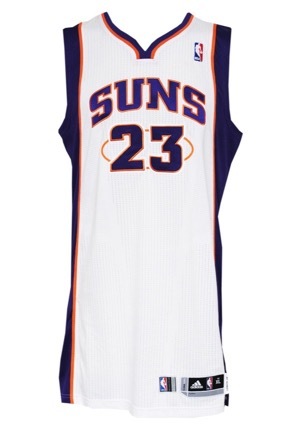 Above the player name is the “PHX” Suns logo embroidered. This jersey is properly tagged, was presented to us as game-used and in our opinion shows appropriate use.